1. 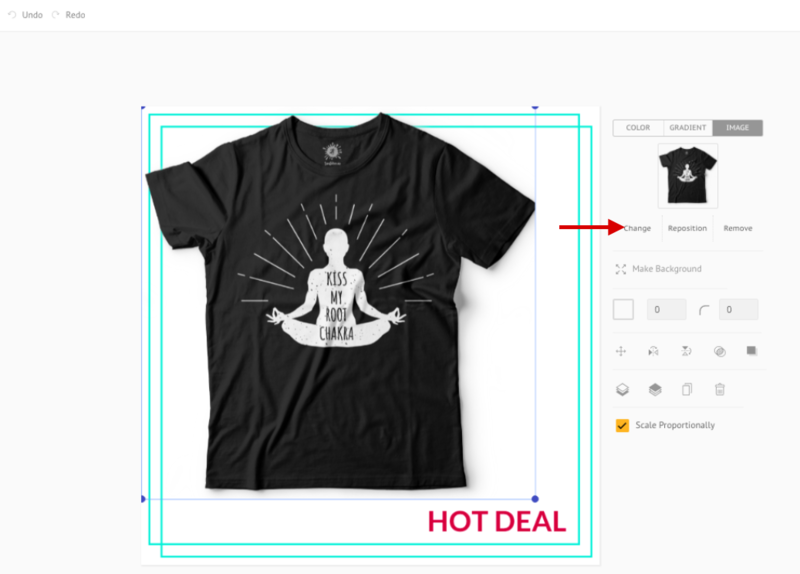 Click on Edit under the Ad Creative you want to change product image for. 2. 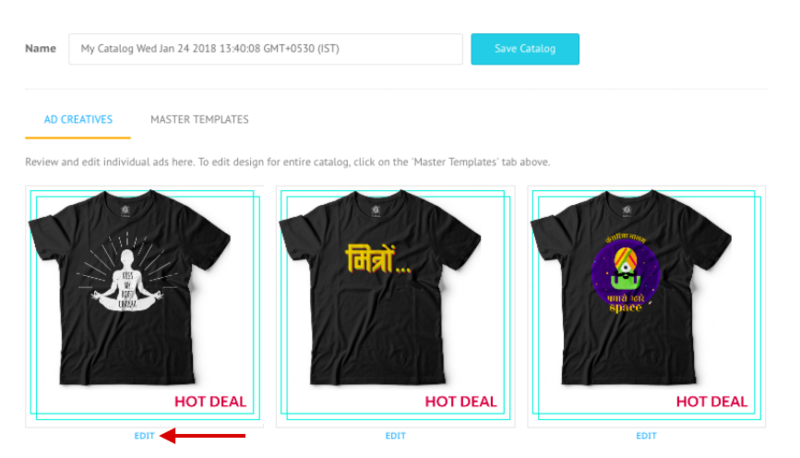 Once you are in the Designer, click on the Image and then select Change. 3. 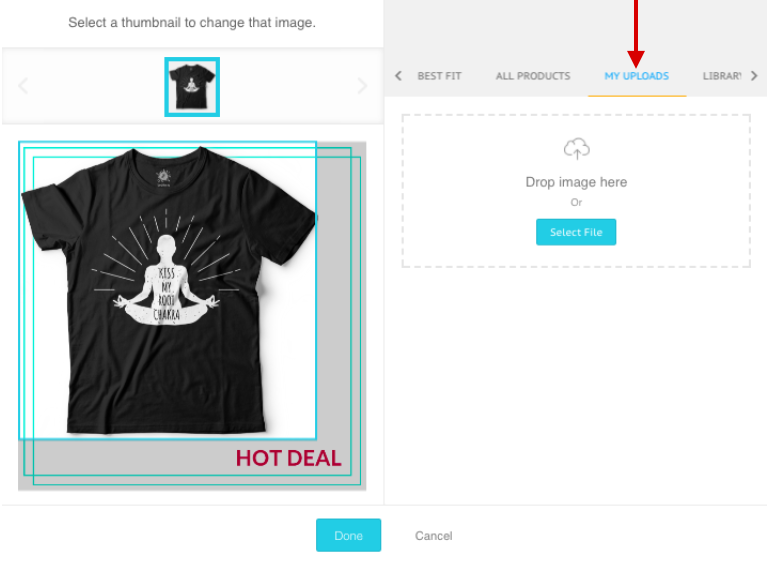 Click on Best Fit or All Products, and search for the product in your template. 4. 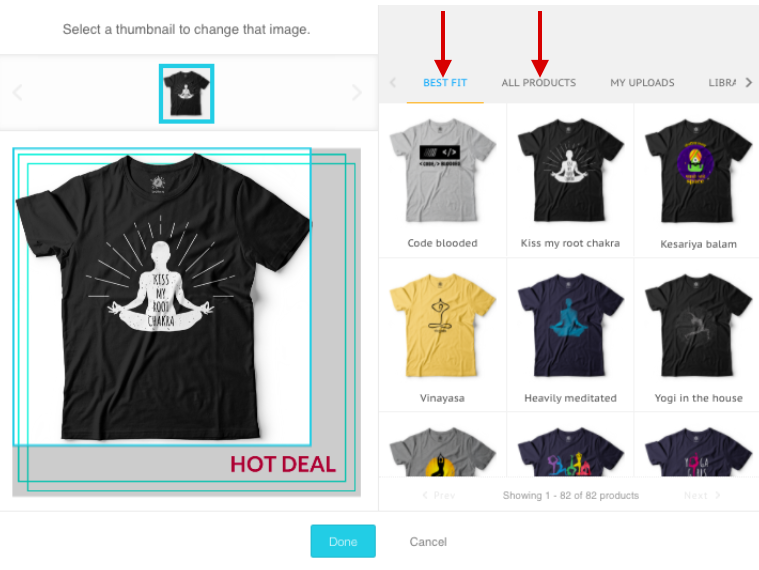 You can select a different angle or variation OR upload a different image (of the same product*) from your desktop. 5. Click Save and then Publish / Update catalog.